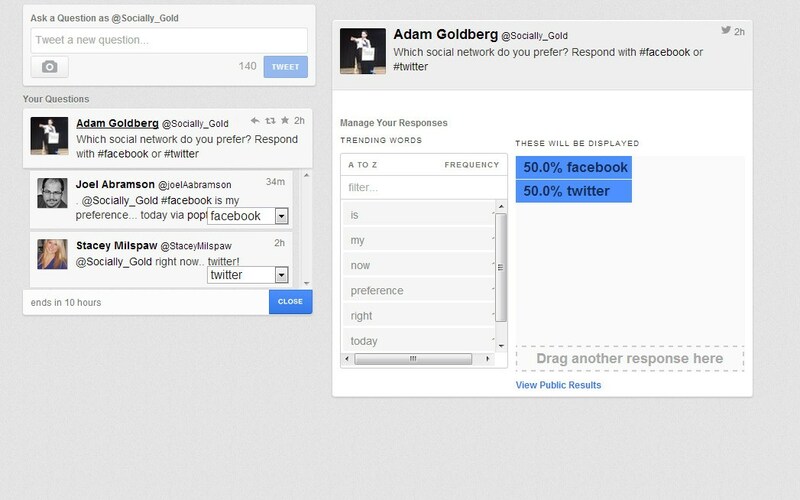 While scanning through my Twitter feed today, I noticed that the Miami Dolphins used a Twitter Polling service called PopTip. I get a lot of my social media ideas from big brands, but this is the first time a sports team gave me an idea. I then went on to experiment with the website on my own, with both my personal twitter account and the Ask Big Questions twitter account. I got an immediate response from Stacey, who I later realized works for PopTip, the Twitter polling site I just discovered. What’s cool about the site is that you can see results in real time. Their technology somehow is able to track what the responses are and graphs them in your dashboard. This service could have tons of great uses, especially for real time presentations or events, which is what I plan to use it for. 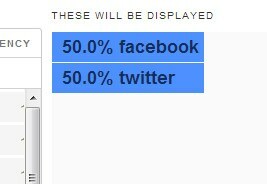 Let us know in the comments what do you think of this real time Twitter Polling site? I’m sold!